For some men, the mere idea of wearing shorts is cringeworthy. 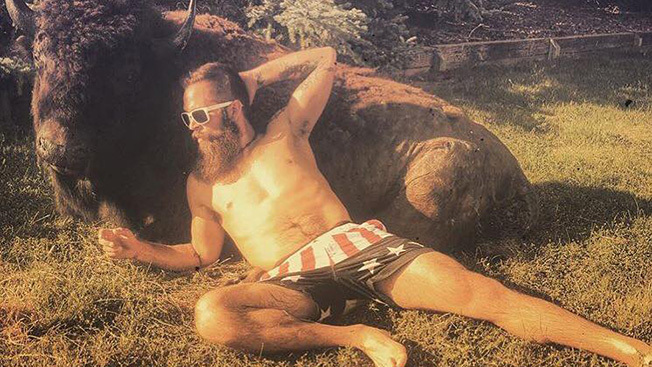 But e-commerce site Chubbies thinks it's found its niche among millennial guys online. The retailer began in 2011 with the mission of "revolutionizing shorts," and it sells swim trunks and shirts in addition to its trademark elastic-waist shorts. The brand primarily targets young guys who like to make the most of weekends with friends. And in today's marketing world, that means Chubbies had to build a strong social media game. "As we envision the future of what we're up to, it is a full-on media organization that's rooted in content," said Tom Montgomery, co-founder and head of marketing. "In the same way that the Red Bulls of the world have made that association with extreme sports, we want to align ourselves with the weekend." About 40 people work at Chubbies, with three employees specifically cranking out posts for Facebook, Twitter, YouTube, Instagram and Snapchat. Video is a big part of the brand's social push, which has shifted significantly from YouTube to Facebook over the past few months. Underscoring Facebook's rise as a video player, a side-by-side comparison between Chubbies' Facebook and YouTube channels shows wild differences in how the brand's social videos take off. On Thursday, for example, the retailer posted a 30-second spot to Facebook and YouTube. By Friday morning, the Facebook version had racked up more than 11,000 views and 350 likes while the YouTube clip had 300 views and 2 comments. Another video of men squeezed into pairs of small shorts was posted to Facebook on June 19. It has since amassed more than 900,000 views, 3,600 likes and nearly 1,000 shares. The clip was later posted to YouTube on July 15, where it's drawn 3,100 views and a small handful of comments so far. Chubbies' social posts don't always plug its products, through. Brands can't post GIFs on Facebook, so instead, the retailer uploads GIFs as short videos that endlessly loop in news feeds. Those quicker clips are paying off. Over the past three months, the brand's accumulated 12 million Facebook views and is adding 10,000 new fans per week. The Facebook page has 1.1 million fans. It's important to note that Facebook and YouTube count views differently. On YouTube, someone has to watch 30 seconds of something to be considered a view. But on Facebook, a view is counted as three seconds and automatically starts when someone scrolls through a news feed. Views aside, Montgomery said engagement with the clips is also stronger on Facebook. "At the moment, we're seeing by far the most excitement on Facebook because they [users] own the share, they own the traction," Montgomery said. Of course, part of that also has to do with ads. Once Chubbies sees a video or picture start to gain popularity, it buys sponsored posts that target similar audiences and zeroes in on people who previously looked at its content. Chubbies' marketing budget is almost entirely digital, amounting to less than 15 percent of the company's revenue. That means it uses platforms like Instagram and Snapchat—which require pricier ads—primarily for branding. "We put a lot of emphasis on video content because we've seen that be the more sharable, the most talkable of the content that we put out," explained Montgomery. "It all comes back to digital right now. It's figuring out how to make the integrated campaigns out of stand-alone traditional campaigns."